I love painting ribbon! It's basically a custom-made tool for creating movement in a still life - and lots of fun little shapes to paint. 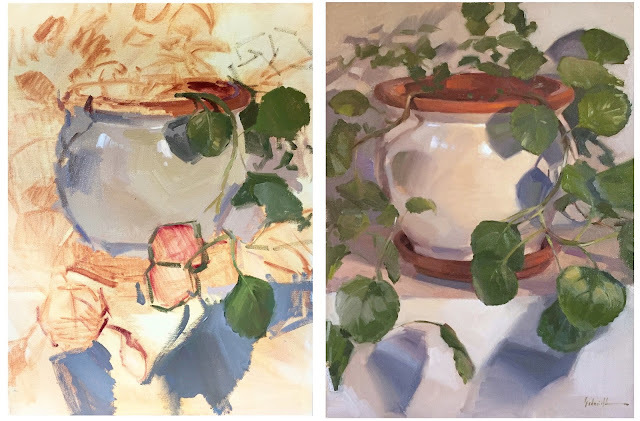 I'm in Louisiana teaching two workshops this week - still life AND portrait painting. 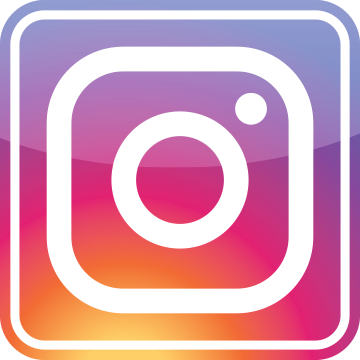 To follow my adventures, check out my Instagram page. It's really the best way to keep track of me these days! 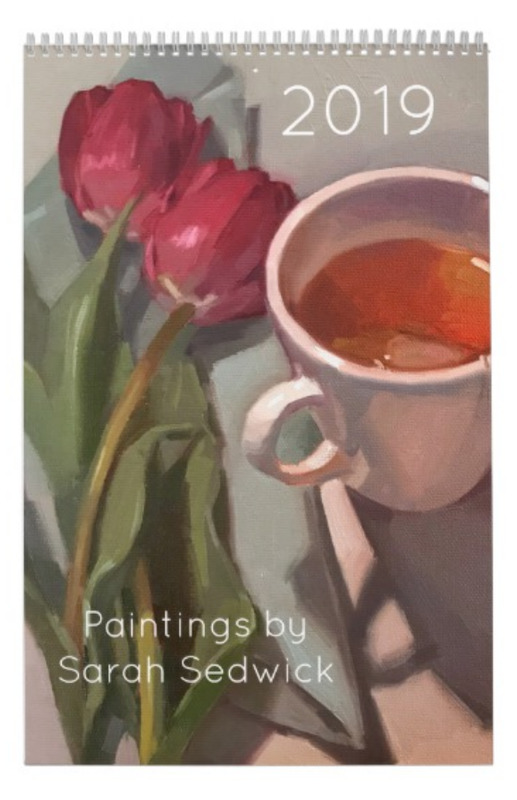 The Green Teapot, and a chance to watch me paint it - live! As an artist, I don't often feel that I'm in a "helping" profession. Yes, the arts benefit society hugely, and I'm proud to be a part of that. And yes, when I'm teaching painting, it's incredibly rewarding to be able to pass on my experience to my students. 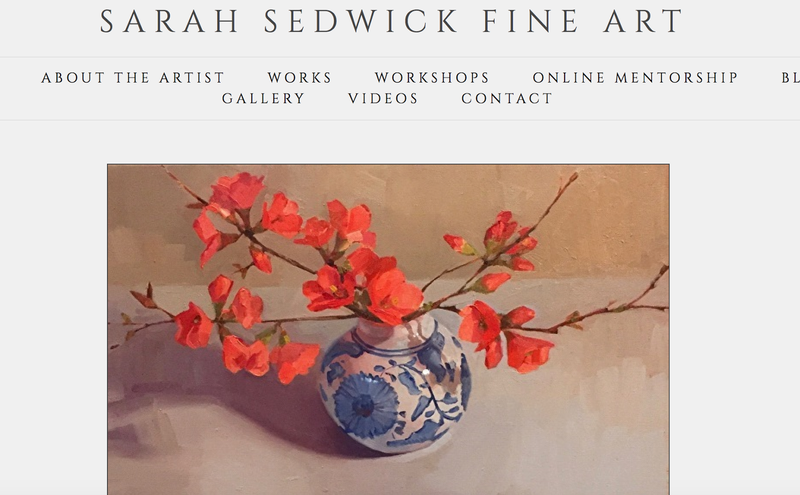 Donating my work to charitable organizations is a different kind of difference-making. I'll never be a social worker, but I truly know how important social work is to my community. So! This Thursday, I'll be participating in a great benefit for Sheltercare, here in Eugene. 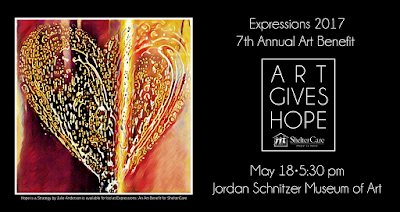 I say it's a great benefit, because it really is - it's at the Jordan Schnitzer Museum of Art on the U of O campus, there's live music, great food, a silent auction of local art, and this year, my talented friend Heather and I will be making art, live, during the event. 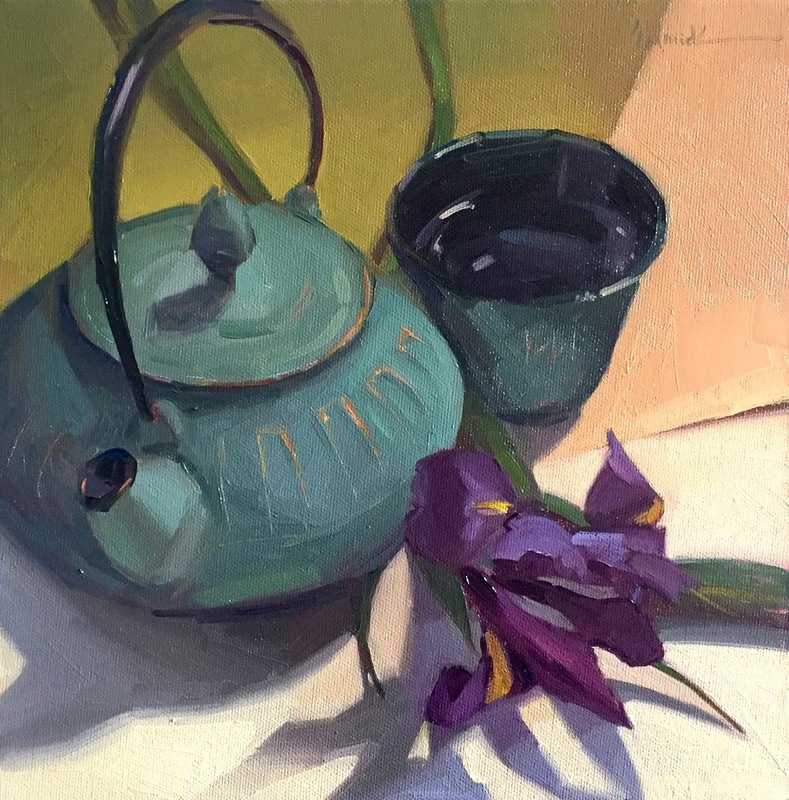 AND our paintings will be part of the raffle - along with our subject, this lovely green teapot. So, today's painting was just a warmup, you could say! Click on the image above for more info about the event - and click here to read an interview with yours truly, on the Sheltercare blog! 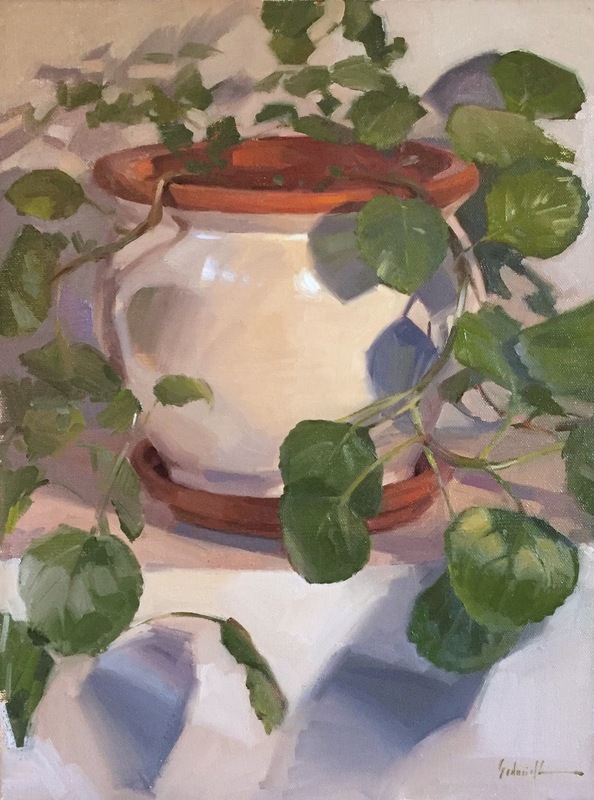 This painting began as a demo for my online students - unbelievably, my art mentorship program is almost one year old! Time flies. And time certainly flew while I was doing this demo - in over two hours, I only got as far as the image on the left. As usual, the group and I covered a wide range of topics - and I DID edit the recording down to about 90 minutes, so you just get the good stuff! Watch this painting come together! If you're reading this in your email, click here for the video. Interested in studying with me in person? I've got a list of upcoming workshops in the right-hand sidebar of the blog -----> including this weekend, Intro to Oil Painting, in Eugene.